Compassion is a tricky thing. The best of the manipulators can get it with their charm and tales of woe, even though they are often undeserving. Their victims may not only be denied the compassion they need and deserve, but worse, they may be judged for the perceived circumstances. Those that truly have the art of deception calculated are often so good at drawing a picture that reflects such an abstract truth of the harm cast upon them, that people buy into the lie, while those being accused suffer…often alone. How often do we stand on the outside and judge believing we know the truth or what is the best action to take in a circumstance…and then later learn that the truth we believed was the lie? How open are we to even discovering The Truth, or, is it ever even fully discoverable? How can we protect ourselves from the trap of assumptions and conclusions that are false that lead us to cast our opinions or judgment rather than offer our compassion? I believe, if we are open to listen to it, our intuition and knowing can guide us. Yet to experience this knowing, we must observe and not be so quick to judge another. Is it possible that time and time again people judge the person that was manipulated or harmed? “They should have known better,” “They should not have done that,” “They shouldn’t have allowed that to happen”…instead what would happen if we chose to realize the pain they endured for being too asleep at the time? What if we considered they were unaware of the truth of their circumstances, that they were unable to see that they were being manipulated or that they may be in the struggle of the aftermath of such manipulations and again—where they need love and compassion, dare we judge? Thoughts such as “Shouldn’t they be past this by now?” “Why are they staying so isolated?” “Why aren’t they back to work?” Let us ask ourselves, are we flawless? And who should decide such things for us other than ourselves? It is often goodness and wanting to believe, wanting to support and wanting to love that blinds us. As I often say, love is not blind, it is only the illusion of love that is. When we believe the illusion, we deny ourselves, as true love does not deceive. Once we awaken to the deception, we then experience the awareness of betrayal…a pain that is debilitating, as only someone you love and trust can betray you. 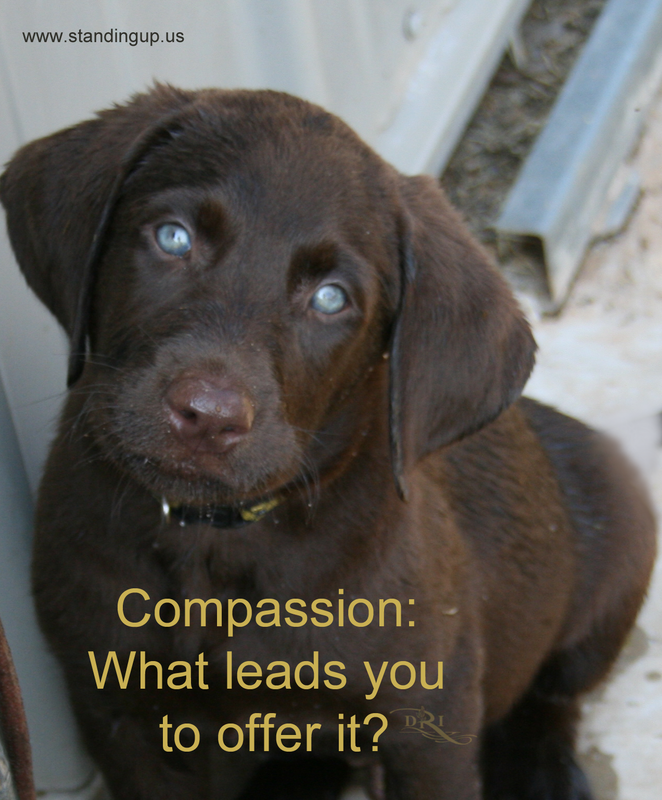 What if we offer compassion, before judgment? Of course then, we may offer it to someone whose fooled us, yet observation and trusting our inner knowing won’t leave us there for long. Our own judgment is required to make a good decisions, true, yet experience, intuition and logic can lead us to wise conclusions rather than knee jerk ones that can be misguided. In the following excerpt from my book I discuss what I have observed. A true manipulator knows the more enmeshed your life is with theirs, the harder it will be for you to escape, so that is what they are after. Their goal is simple, they want you fully vested in them. They want to keep you in the game and under their control, like nothing more than a chess piece. Know your opponent. True chess games may merely be about winning, yet in this game, for the most calculating players, it is about annihilation. If you find yourself in one of these types of relationships, know that once you have tolerated the maximum you can tolerate, it is imperative that you realize exiting initiates a game at a much more deviant level. Prior to waking, the fighting was endless, exhausting, and difficult. It remains endless until you are awake enough to see that this game is strategic, not emotional. You must get out of your emotions and stop applying the same human thinking you have in your mind, to how their mind works. This is true in business or other family dynamics as well. When you become nonchalant instead of reactive because you can stand in your power, and not your emotions, your sense of security throws them off and empowers you. It is all the same, a chess game. It is important that you see that wherever there is abuse in your life, this chess game is something to consider. It should be no surprise to you that my assessment largely focuses on experiencing and ending intimate sociopathic relationships, yet know that departure from abuse is about having the courage to see the truth, and then to act on that truth. We must awaken, heal, and embrace our wholeness that has been ours all along. Ending relationships often ends in battle. You may be battling over the children, dogs, art, cars, assets…but you must consider that they may not care about these things. They may just want to grab a hold of what you care about so they can win. They want you to feel as though you owe them. They want to play on your compassion. You feel that perhaps they deserve to see or have the dog, or maybe even the children. You want to have their rights honored…and so you compromise. Or perhaps you want to be free so badly that you are willing to walk away in ways that are harmful to you. As you know more, you will consider what you may not have considered before, that you are not dealing with a genuinely emotional individual; instead you may be dealing with a master manipulator. Every single thing in their life is an object, an object that can be used as a tool to harm and control you. Once you understand that, embrace that, and feel your heart shift as a result, you are awake. Do not apply this concept to all divorces or all departures from church, work or any organization or person. The situation I describe is not always the reality. It is true, however, that you must be awake to the possibility. Observe who you are battling with and if your experience is nonsensical and harmful, you just may be in a vicious game of chess, instead of a true above board dissolution with benign beings. So how do you know the truth of your circumstances? I am going to state that when you look back, most often you know you knew. You know that at some level you had a little distrust, a little nagging feeling that something wasn’t right, but you weren’t ready to face it…not yet. And when we do face it, what do we generally do first? We judge ourselves as we often fear others would…we tell ourselves how stupid we were, how foolish we were how pathetic we were…and instead, more than anything, what do we need? Compassion. Begin to offer the breadth and depth of compassion to yourself, and in doing so, you will become clearer about who truly needs it and who is “stealing” it from you to later harm. That which we hope to receive, we must first learn to give to ourselves. Thank you so much for reposting some of my blogs! I really do appreciate it!